The Kea Conservation Trust was set up in 2006 to assist in conservation of wild Kea (Nestor notabilis) in their natural habitat and to increase the husbandry standards and advocacy potential of those Kea held in captive facilities within New Zealand. 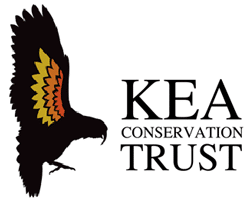 The Kea Conservation Trust was registered as a charitable entity under the Charities Act 2005 (registration number CC29701). Find out more about the Kea Conservation Trust here! At the end of our climbing season in Wanaka we will pool the customer donations and WRC will match the total. This doubled amount will be Deposited to the Kea Conservation Trust.